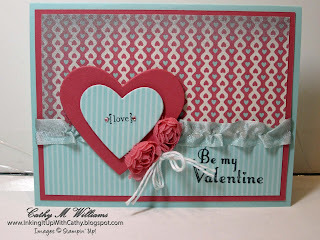 Here's another Valentine's card that we did in February. 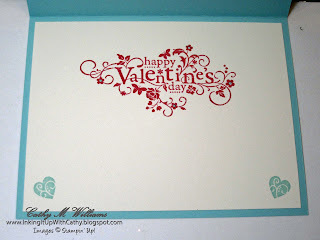 Valentine's Day is long gone but you can always bookmark or file the idea away for next year, right? 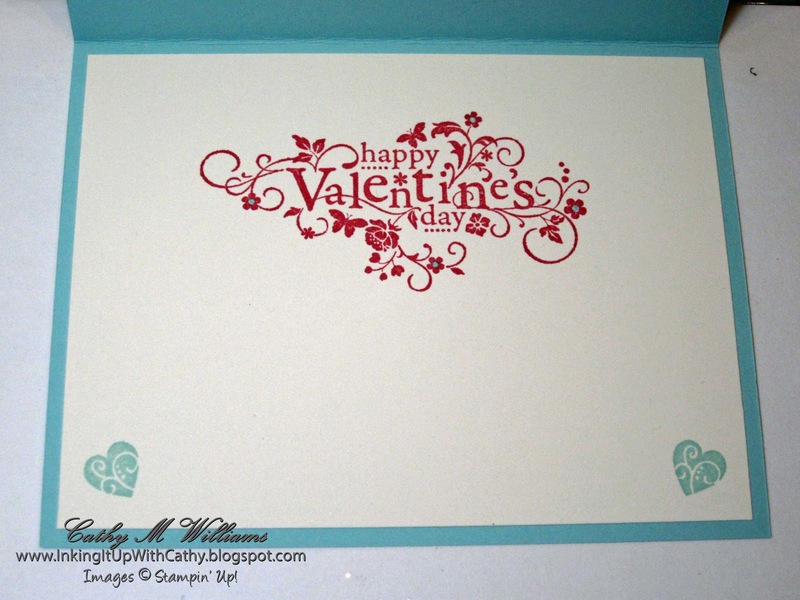 Or make it your own by changing it from a Valentine's Day card to something else! 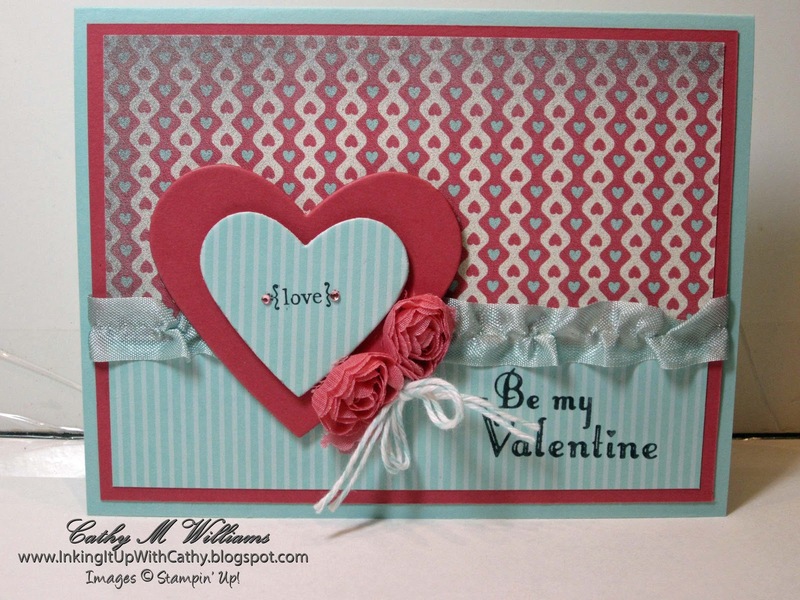 The hearts were made by gluing the cardstock and DSP to thin chipboard (I used the sheet enclosed with the DSP) and then running it through the Big Shot using the Hearts Collection framelits. The DSP chipboard is thin enough that the framelits will cut through them along with the paper. I then use a coordinating marker to color the edges of the chipboard so they look like they are one piece. Here's the inside of the card. This sentiment is one of the prettiest I have ever seen done. I just love it!